The Vinegar of the 4 Thieves Health Tonic recipe centers around hers that have been known for their antibacterial, antiviral, antiseptic, and antifungal properties for centuries. 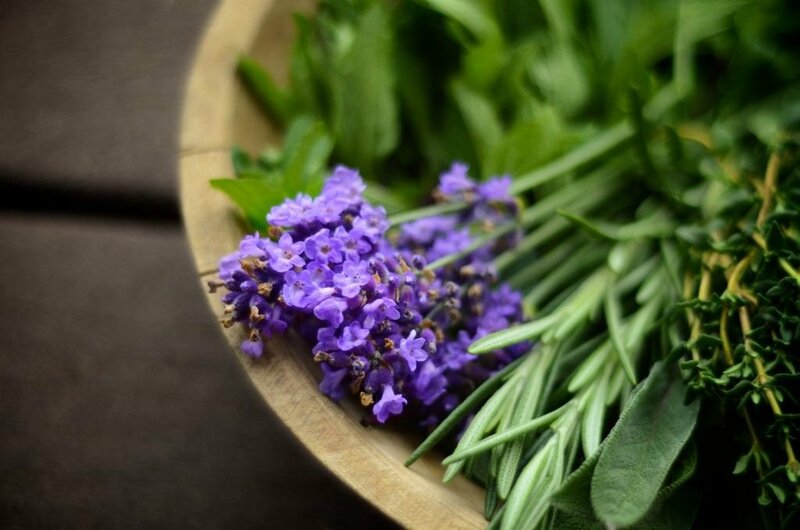 The most famous mention of these herbs is in this specific combination was by four thieves during the Bubonic Plague. According to the legend, four thieves, one of whom was an herbalist, robbed the homes of many who had died of the plague. They were eventually caught and brought to trial. According to the legend, they were given a lighter sentence in exchange for the recipe for their tonic. Though we hopefully wont ever need this remedy for anything as serious as the plague, the Vinegar of the Four Thieves serves as a valuable remedy against many illnesses and is a powerful disinfectant and buy spray. One 32-ox bottle of organic Apple Cider Vinegar with "the Mother"
2. Pour the Vinegar over the herbs and garlic and seal tightly. The vinegar is strong enough to corrode some metal lids, so in this case, consider putting plastic wrap or a plastic bag on top and then putting the lid on. 4. After 6-8 weeks, strain the herbs out using a small strainer and store tonic in smaller jars for easy use. As I mentioned before, this vinegar makes a very effective (though strong smelling) insect repellent. If you make it to this strength, just put 1/4 cup of the venegar in an 8 oz spray bottle and fill the rest with water. Spray on skin, clothes, etc. when in heavily insect infested areas. We store in fridge to minimize the vinegar smell and make more refreshing. In cases of illness, The Vinegar of the Four Thieves is very helpful in quick recovery. Adults can take 1 TBSP several times a day (dilute in water) and kids can take 1 Tsp several times a day (well diluted in water/herbal tea). The Vinegar of the Four Thieves smells awful and tastes almost as bad, but it is very effective against a variety of ailments, plus its healthier and cheaper than antibiotics. Want no muss, no fuss, no smell remedy...schedule the Chemtrail Protection Consultation and find out more about the Chemtrail Protection Star Team Program.